Please email me for more information. E-Mail Me! 1. Domain name registration and hosting service on an internet server for one year. (After the first year, the domain registration and hosting annual fee will be $140). 2. Initial design and setup of a five (5) main page website. This initial setup is considered to be complete after the first 30 days. • Additional pages and changes after setup to the main pages are available for additional labor charges. • Email accounts are available for additional charges. • The setup fee is a one time charge. • The domain and hosting fee is a yearly charge. 2. 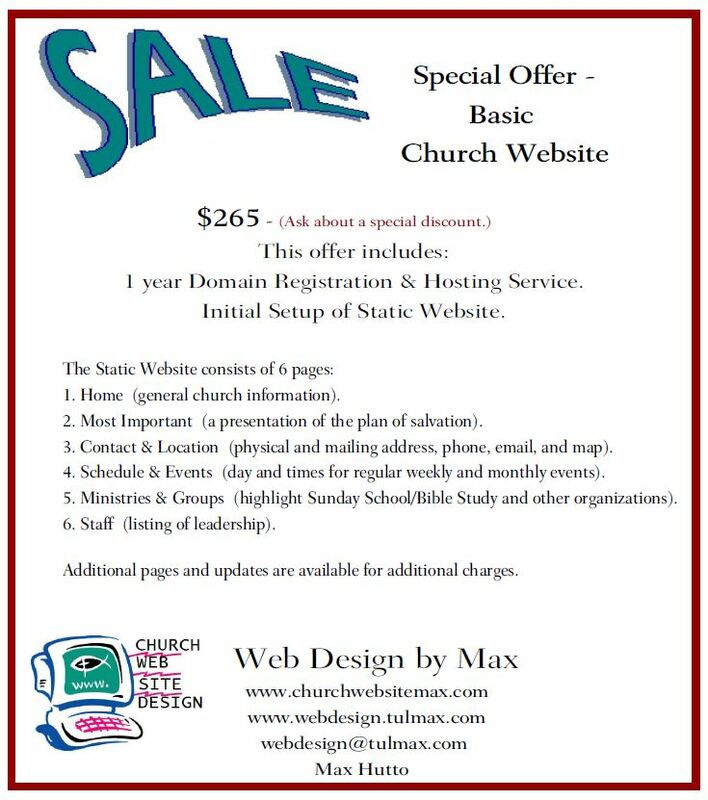 "What to Include in a Church Website"
Copyright © 2000-2019 Max D. Hutto. All Rights Reserved.